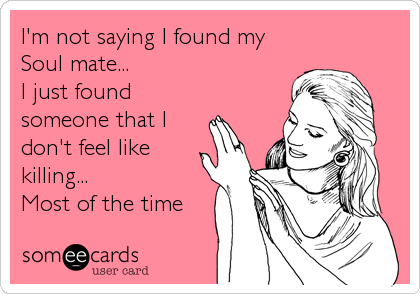 You are here: Home / Uncategorized / Soul Mates? Soul mates. The person that completes you, that is your other half. This person is more than true love. This is the person that literally shares a piece of your soul. If, for some chance you do have one true soul mate, how are you going to find them among the over seven billion people in this world? I suppose you could say the halves of the soul are somehow attracted to each other, but what are the chances you’ll speak the same language? Have been brought up in the same culture? I’m a romance writer, and I read a lot of the genre. While I’ve seen soul mates used a lot, it almost never explained how it works. Was a soul ripped in half so each character only has half a soul (might explain a few people I know)? Are they like two pieces of a jigsaw puzzle? Or maybe mirror images of each other? I can’t think of a single time an author used soul mates and I didn’t think they were mailing it in by relying on this to bring togtether characters that had no other reason to be together. 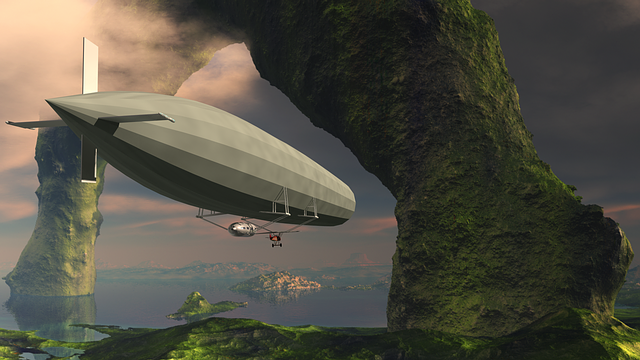 It’s like the author chased the characters up a tree, and then along came a handy-dandy zeppelin to get them down. Hi! I just happened to be in the area. Given my preferences, if I read that the main characters are soul mates in the book blurb, I don’t buy it. If I find it out they’re soul mates later in the story itself, I tend not to finish the book as I usually can’t stop rolling my eyes. After the eighth or ninth eye roll, I’m worried they’re going to get stuck in my skull and decide it’s time to put away the offending book. Yes, I love romance, and I love happily ever afters, but the characters have to earn it. It’s part of what makes the endings so delicious. If the story has enemies become lovers, I can buy that. Seen it often enough in real life. But if the story wants enemies to fall in love with each other? That’s tougher, but put them through a strong enough crucible in the story, and I can buy it. I want to buy it. I like reading romances. I want the characters to get together. But I also want to believe it. Tell me they overcome their hate for each other because they’re soul mates? I’ll smile politely and slide that book over to the “don’t waste my precious reading time” pile. Authors can bring together difficult characters, even characters that might strongly dislike each other at first. We believe the change in how they feel about each other through repeated interactions between the characters, with them learning through these interactions that they’d misjudged the other. The more you want the change, the more the plot has to challenge them. Social Identity Theory tells me it’s not going to happen easily. The bigger the change, the harder it’s going to be to make it happen. You see the enemies (or at least adversaries) become lovers a lot in television, especially when the writers have multiple seasons to build the romance. Most romance novels don’t have multiple seasons, but it’s still doable in a single book. After all, in a romance novel, the whole point of the plot is to get the characters together. Yes, it’s possible, and most of us can think of some characters that we loved seeing get together even though they were ready to kill each other at the beginning of their relationship. Done right, it makes an amazing an unforgettable romance. Done wrong, and an author has to tell me the characters get together because they’re soul mates and just can’t live without each other. How about you? 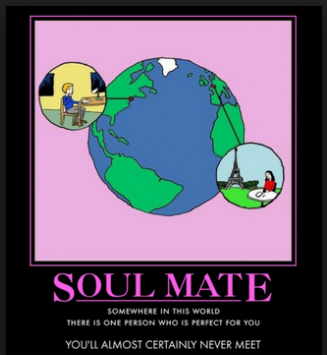 Do you believe in soul mates? If so, why? I’m open to changing my mind! Have you ever read a soul mates story that was very well done? What made it good? I didn’t even know some of those things weren’t supposed to be done with someone you love! Wow, to expect someone to know what you want without saying it . . . Yeah, I agree with some of the points. An interesting article, I don’t know where I stand on this one. Do I love my wife? Absolutely, but does that mean she is the only human I could ever love? Well, plenty of widow/widowers would say they could find love a second time. Not sure how I feel about “true love. I will have to think on that. Well, write your thoughts so we can read them!